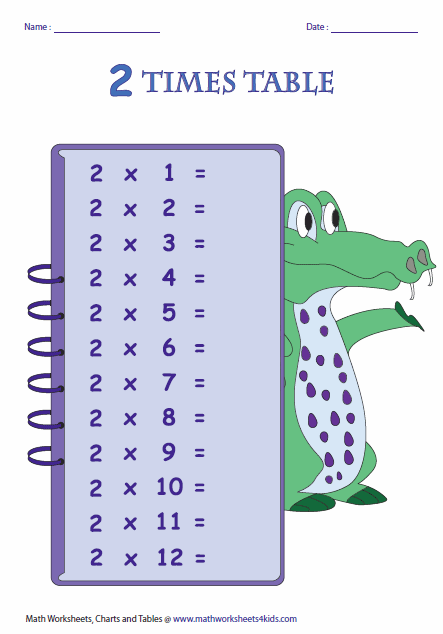 This page contains multiplication tables, printable multiplication charts, partially filled charts and blank charts and tables. Each table and chart contains an amazing theme available in both color and black-white. 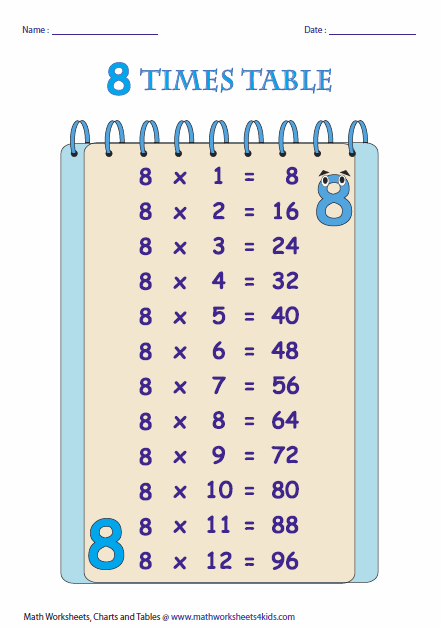 Each printable multiplication table is designed with the funny number theme. See booklet section to download all the tables (0 - 16) in a single PDF document. 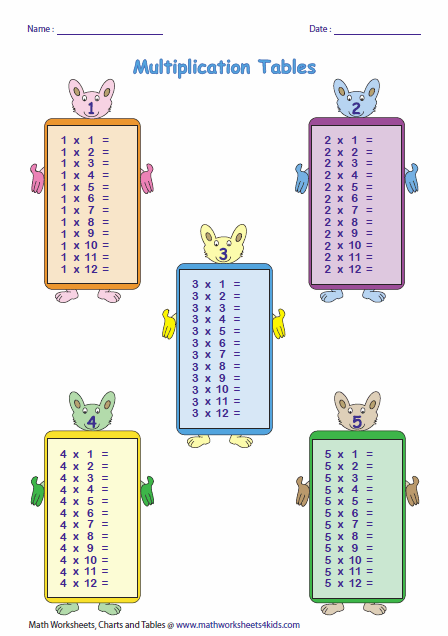 Each blank multiplication table contains animal themes to grab the attention of early learners. Download the booklet that contains all the blank tables from 0 to 16. Dear Teachers and Parents! 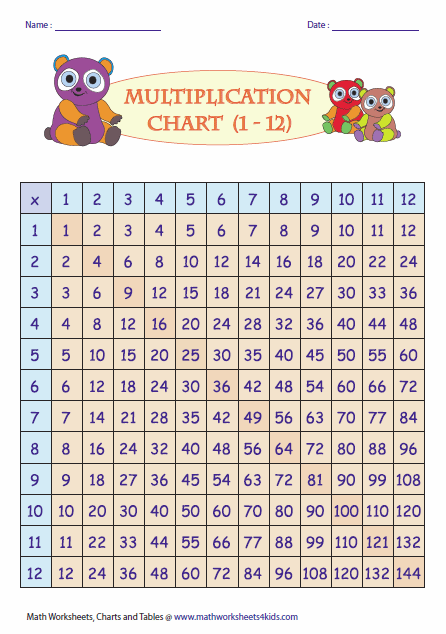 Use these printable single page tables to teach multiplication to kids. Each table comes up with an attractive theme; your kid(s) never says 'NO' for learning. 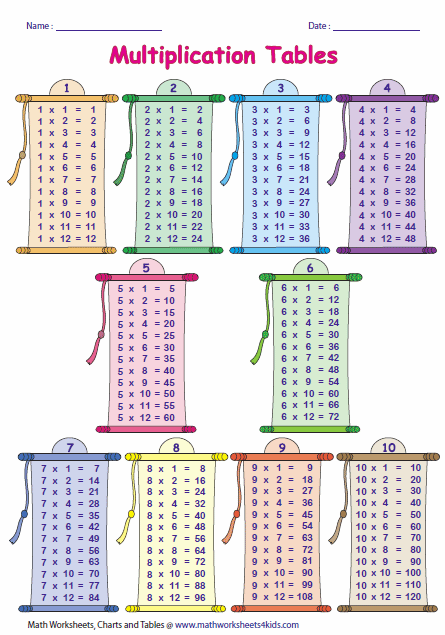 Single-page blank multiplication table is a best way to recall the multiplication. Download the level you want and start filling up the table. 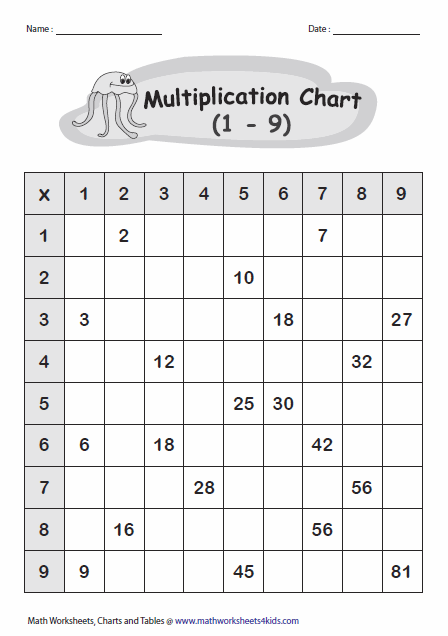 These multiplication charts are great way to learn multiplication. Each display chart has unique theme to drive interest in learning. Are you done learning with multiplication tables? Practice these partially filled charts to reinforce the knowledge in multiplication. Multiply the numbers in the row with the numbers in the column. 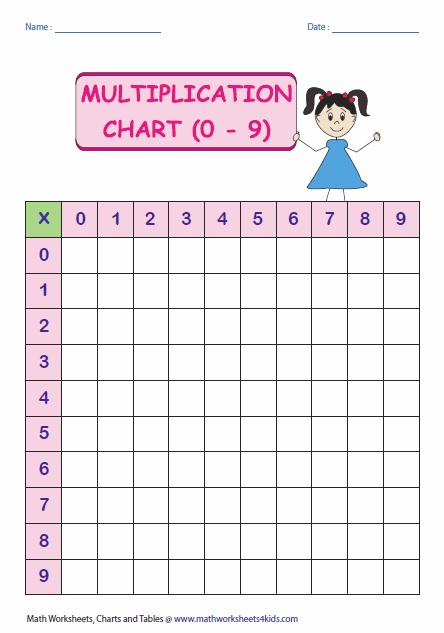 If the children have successfully done with memorizing the multiplication tables, ask them to complete these blank charts for revising purposes.